With August being the most popular birth month in the United States, there is a high probability that you’ll be attending, or hosting, a children’s birthday party. 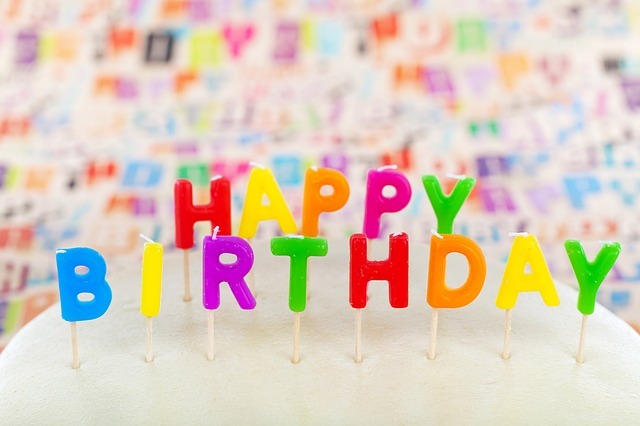 Celebrating a birthday can be costly, but finding little savings here and there can let you focus more on the celebration and less on the bottom line. Here are five ways to save on children’s birthday parties. Don’t wait until you receive an invitation to purchase a gift, instead stock up during the sale seasons. Buy extra presents when the prices are the cheapest: Black Friday, Cyber Monday and the day after Christmas. Store these toys until your child has a birthday party to attend. That way you won’t have to shell out $25+ every time your child receives a party invite. Don’t go to party supply stores where the mark-ups tend to be higher; stick with the dollar store for take home goodie bag items, decor, and plastic dishes/cutlery. Don’t spend all your money on an event facility, instead host the party at a free venue like the local park or a family member’s home. Save that extra cash for games/activities that will make the party more entertaining and interactive. A pinata is a classic party time activity. What makes it so great is that it’s inexpensive (especially if you DIY) and interactive. Plus, what kid doesn’t love candy? Bake cupcakes from a mix and have a DIY cupcake decorating station. This is fun for kids and will save you the cost of buying pre-made and the time of having to decorate them yourself. Make your own fruit and dessert party trays. It’s much more cost efficient than pre-sliced trays and will allow you to customize in case there are food allergies. Set up some sort of active activity to help burn off all that sugar. Soccer is a great inexpensive, inclusive and easy to set up activity. Save on the cost of buying and mailing invitations and use free software like evite.com or punchbowl.com to send email invitations. This a great way to still send out personalized invites without the cost or hassle. Many online services also manage the RSVP list for you. Don’t let a children’s birthday party cause you financial stress, set a budget and use these tips to make it a memorable party.